Grand Western Archery Society now has five new county level coaches, four in Somerset and one in Devon & Cornwall. Luke Messinger (D&C), Martin Hutchings, Andrew Rees, Jane Rees and Lizzy Rees (Somerset) all successfully completed the County Coaching Course in a very speedy eight months, remarkable considering the course can often take up to 18 months to complete. 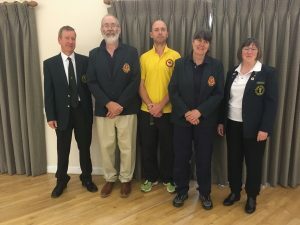 Additionally, Somerset archer Rob Morgan has one more module to complete and he will be number six on the list of passed candidates, a great success for the region! The course was led by international medal winning field archer and National Coach Trish Lovell and her sidekick Ted Essex, both of whom guided the candidates through their six essays, eight linked coaching sessions, equipment seminars and specialist archery talks. Each candidate bought something new and interesting to the course, notably the specialist talk subjects: working with disabled archers (Jane), archery and biomechanics (Luke), nutrition, diabetes and archery (Lizzy), coaching and cognitive biases (Andrew) and archery development in scouting (Martin). Grand Western is a region which has historically had a low number of County Coaches, so to soon have six of them is real progress for coaching in the region. 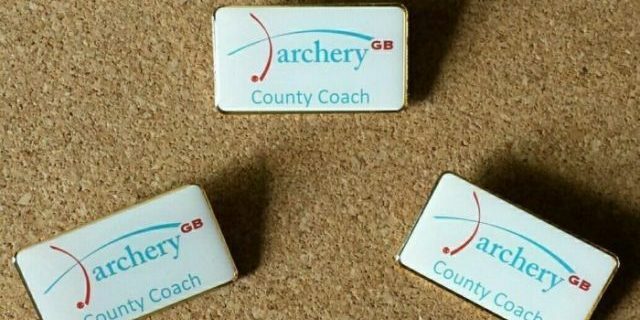 The newly qualified County Coaches can now work throughout the region to help other develop the skills of both L1 and L2 coaches, as well as regional archers, hurrah! If you’d like any information regarding coaching within your local area of Grand Western, please do not hesitate to contact your Regional Coaching Officer via the website.